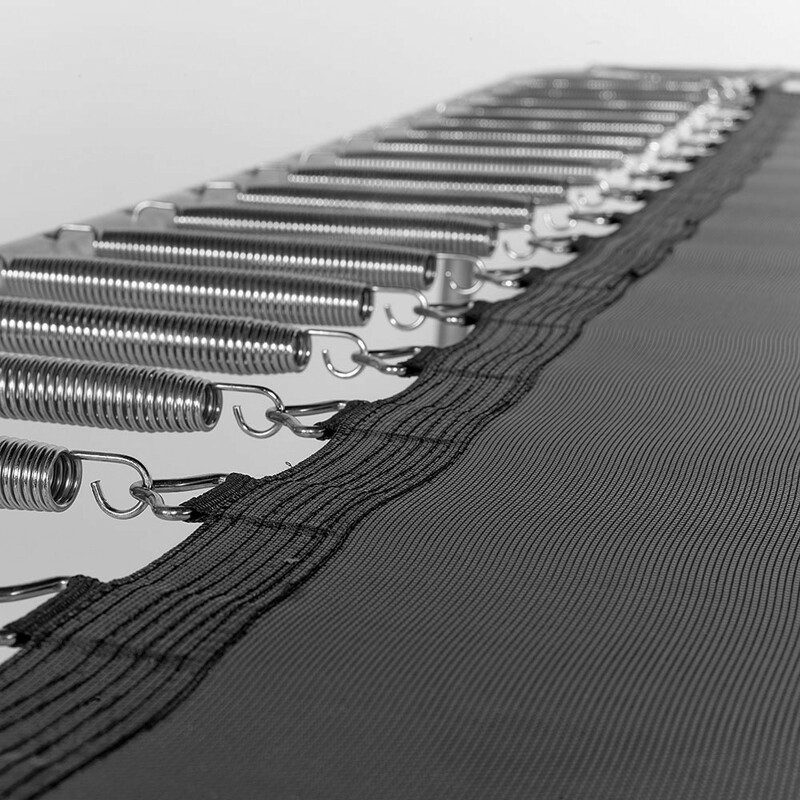 Jumping pad for Apollo Sport 500 trampoline, with 116 silver springs. 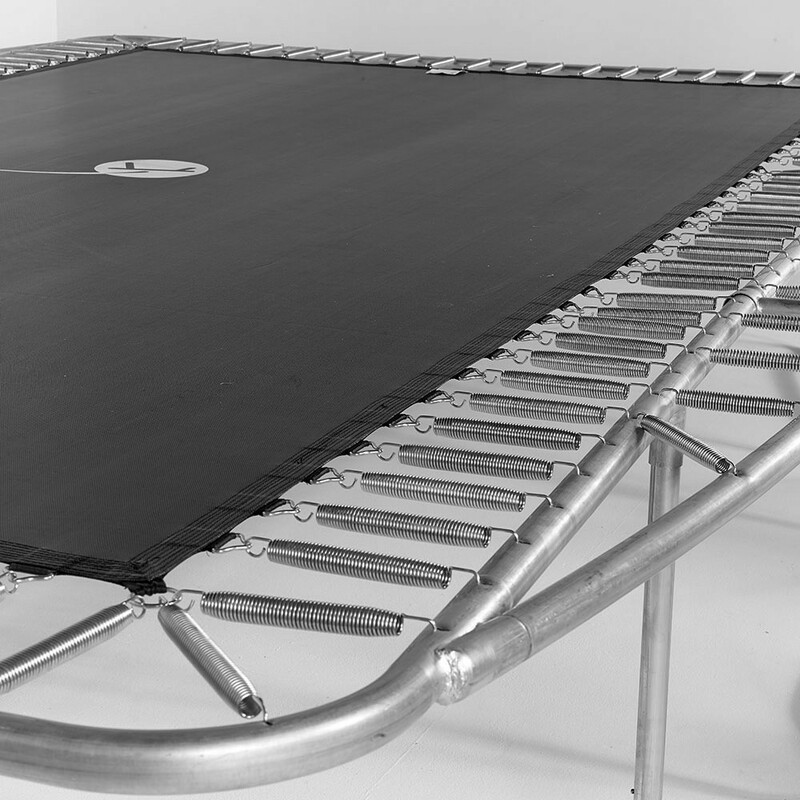 Spare jumping mat for Apollo Sport 500 trampoline with silver springs. 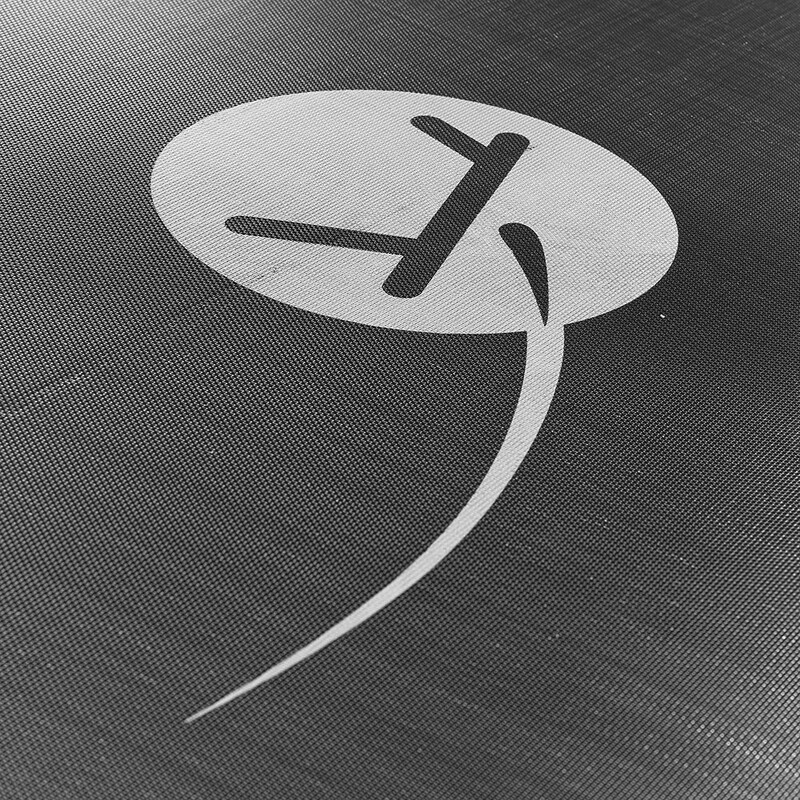 Occasionally a jumping mat can tear or get damaged because of bad weather or other factors. In this case it is very important to change it as quickly as possible to continue making sure user safety is optimal. 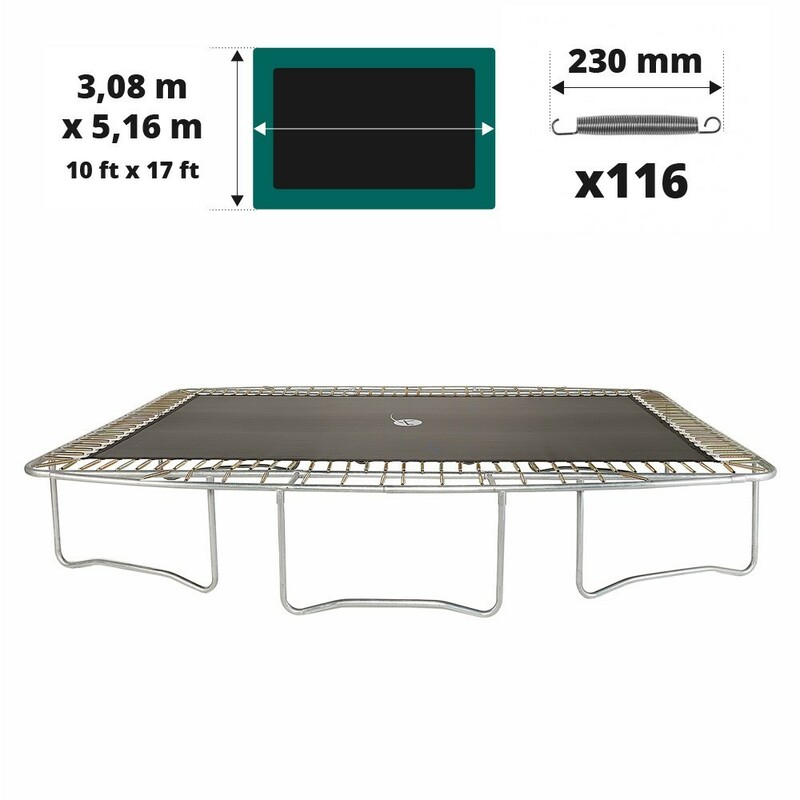 - We can provide a jumping mat without having to replace all of the other components on your rectangular trampoline. 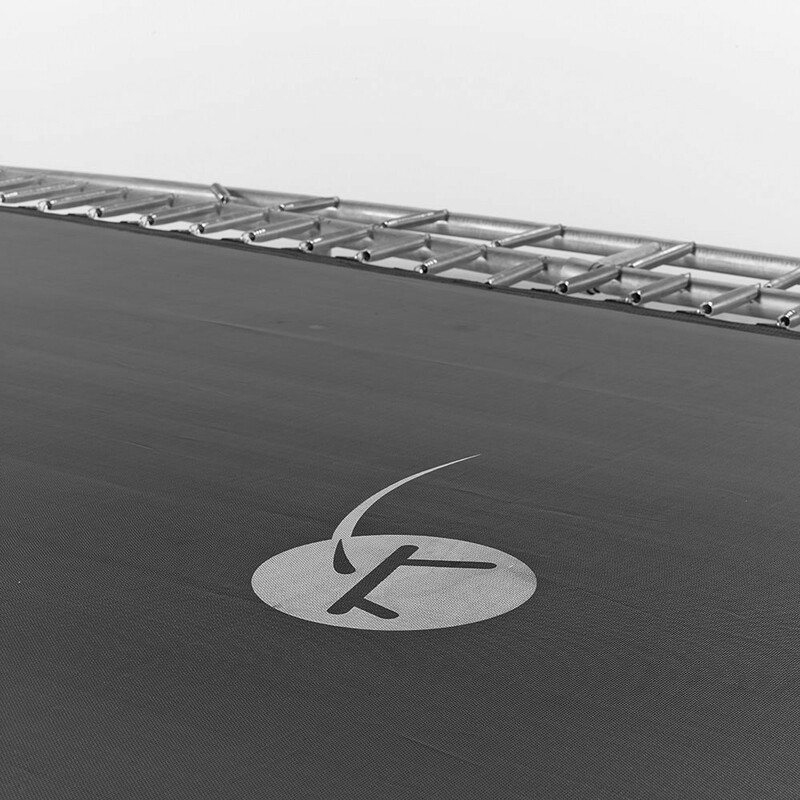 This jumping mat was initially made for the Apollo Sport 500 but is also adapted to trampolines from other brands, as long as it measures 5.16 x 3.69 m and has all of the same characteristics. 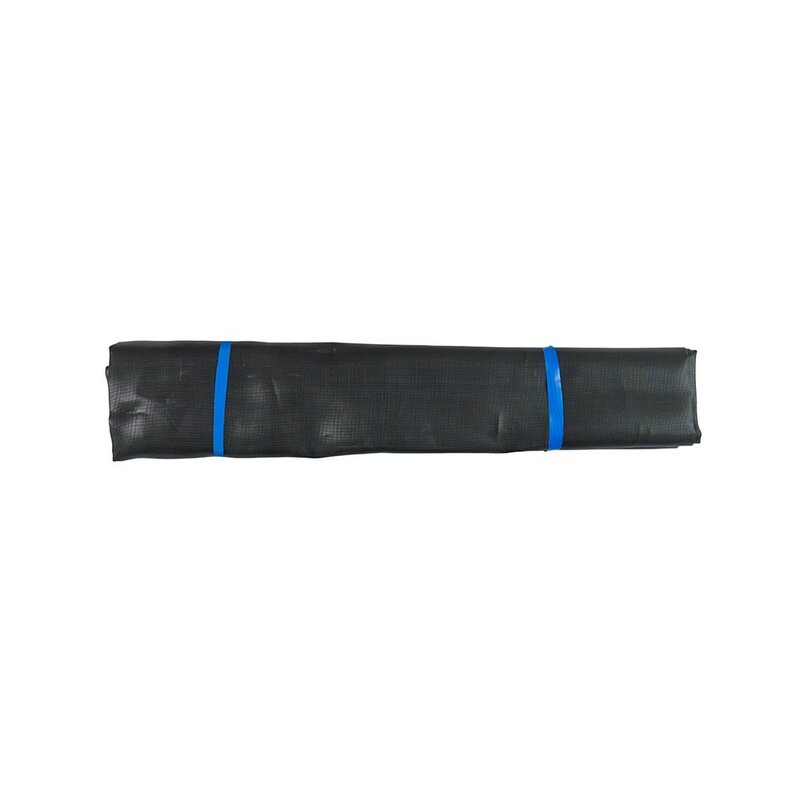 - It is designed using black polypropylene mesh, which is highly resistant. Just as with all of our products, this jumping pad has been protected against UV light, meaning that you can leave it outside all year round without worrying about sun damage. 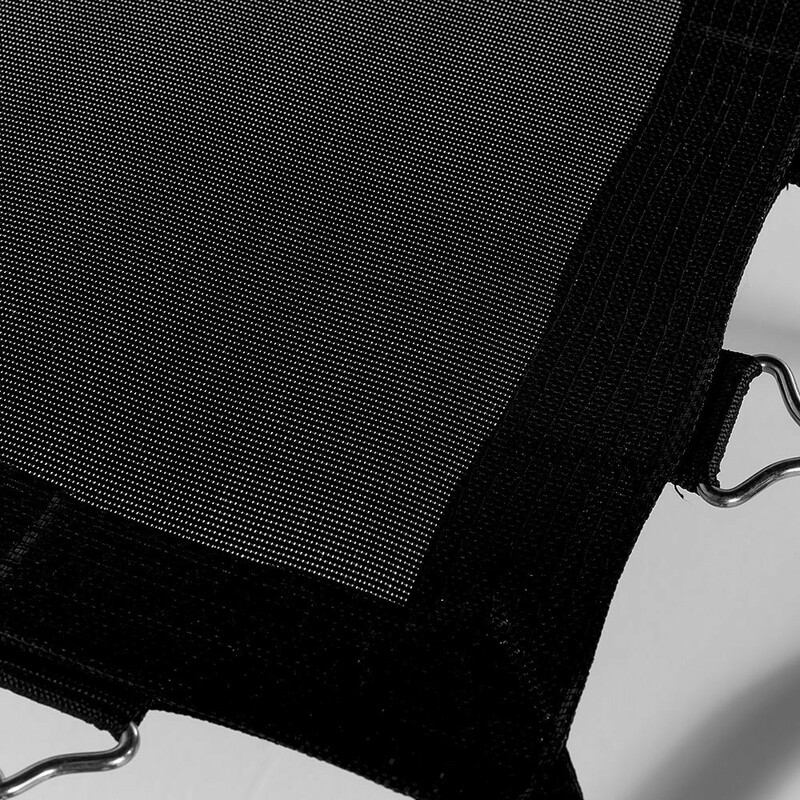 - The solidity of this jumping mat is also ensured by 8 rows of stitches and a reinforcement strip. Steel ringd are attached at the end of these rows of stitches which consolidates the structure. These ring have been hot-dip galvanised making them highly rust proof. 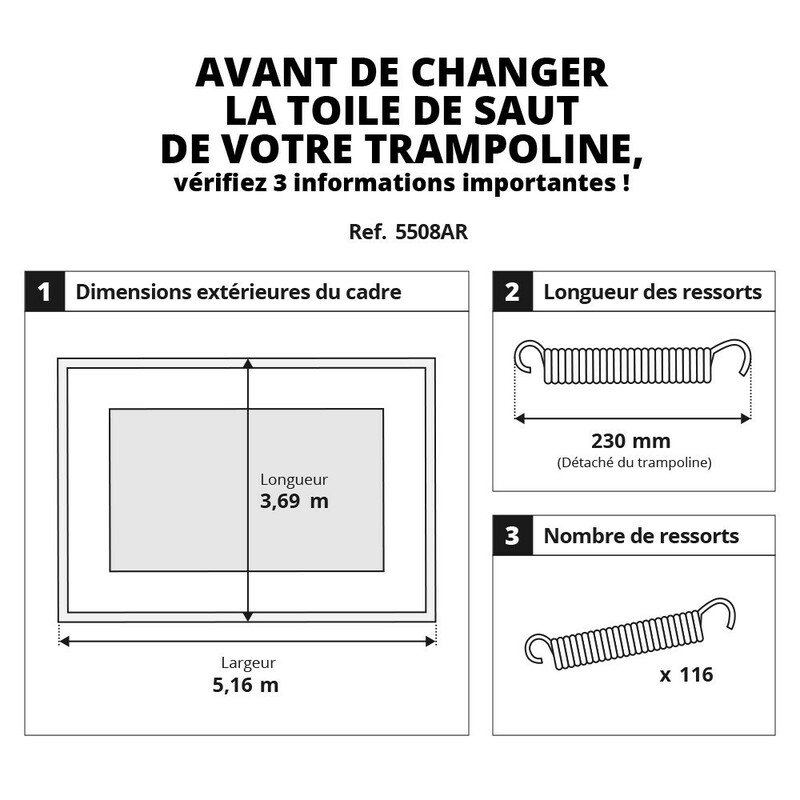 - Please measure your trampoline carefully before ordering. 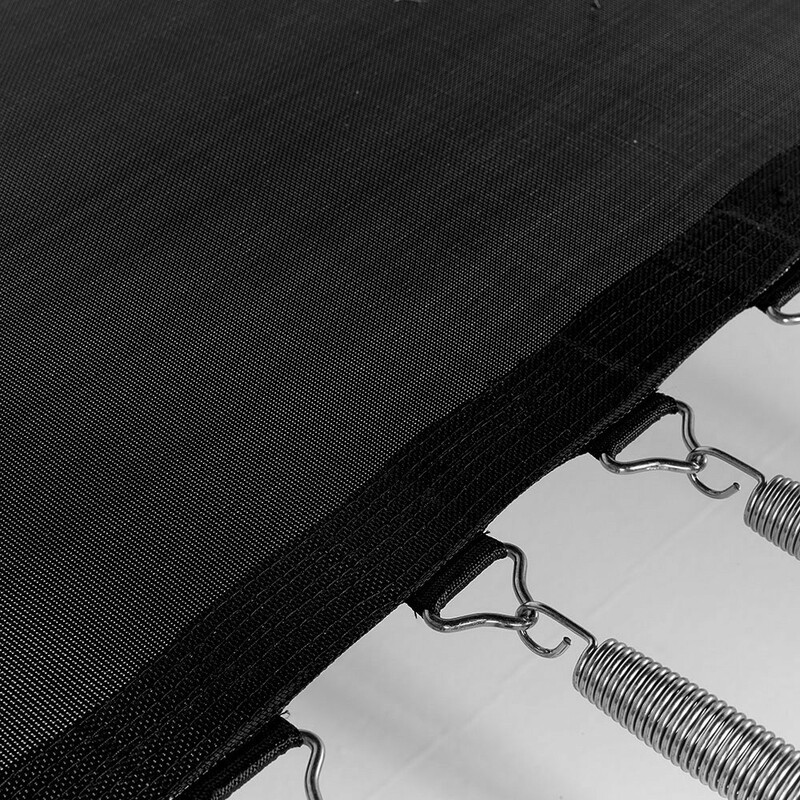 This jumping mat is only adapted to rectangular trampolines measuring 5.10 x 3.68 m, with 116 silver springs measuring 230 mm in length. To measure your springs correctly, remove one from the frame by pressing down firmly in the centre and measure it from Hook to hook.